Alright…where are we going with this? 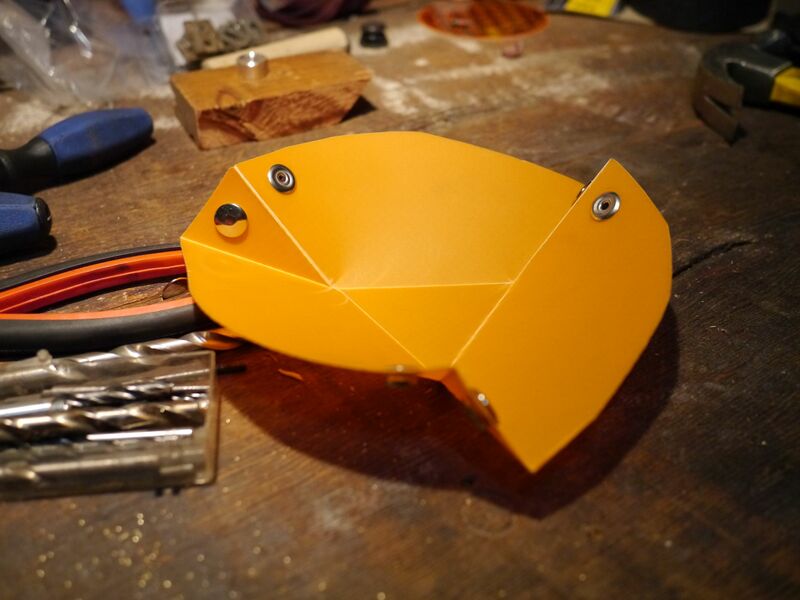 A bowl that unfolds to lie flat in your pack? Brilliant! 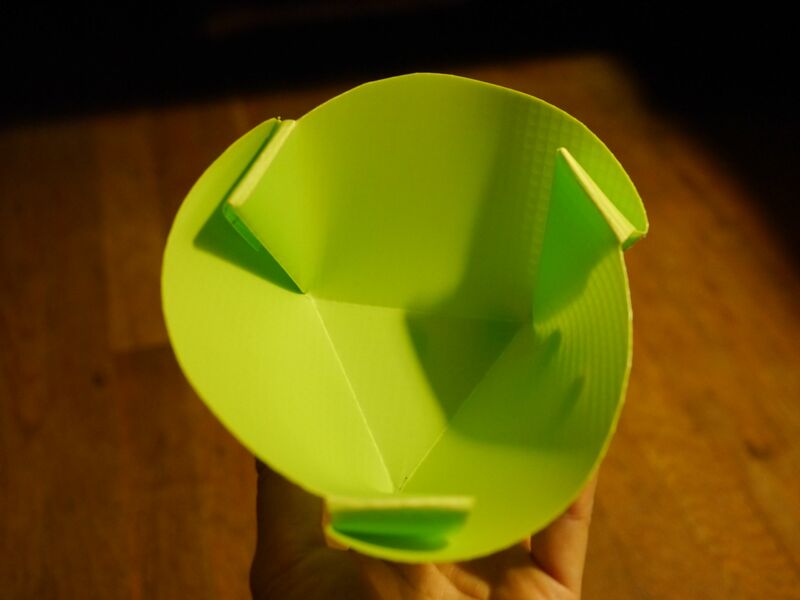 I’ve always wanted an origami camp bowl, but can’t bring myself to pay money for something [that looks like] I can make myself. Hours later, my room is littered with red and orange plastic bits. The dang thing just won’t fold. The little tabs that are supposed to hold the bowl together keep popping loose. The bowl unfolds like a lotus at dawn. “Oh yea?” I sneer and cut off the little tabs. I stomp down to the workshop for a hammer and brass snaps. Pound, pound, POUND — and dang! I pounded the wrong pieces together. “Ai ya!” I break out the power tools — oops, put on some safety glasses — to drill out the offending button. Pound, pound, pound again and finally! 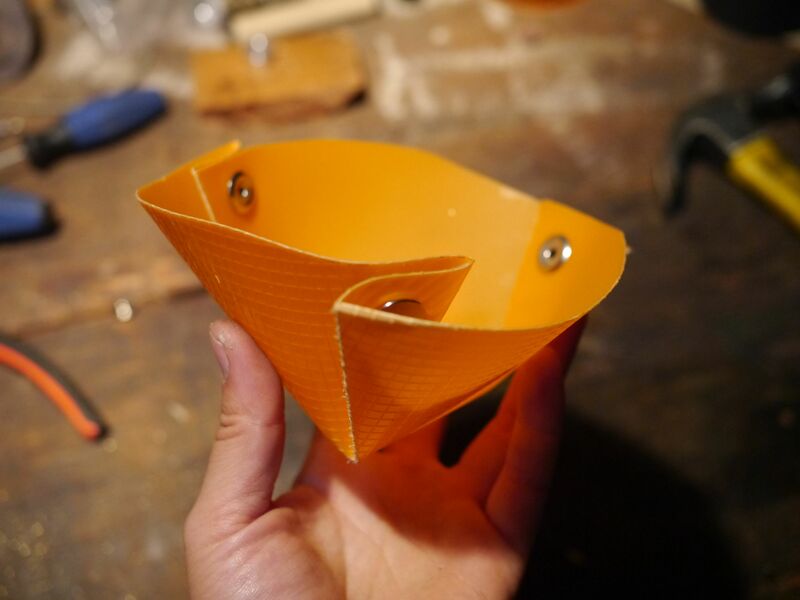 I’ve made the world’s most over-built origami camp bowl. The brass snaps double the weight and unfolded, they jingle like a tambourine. I take a deep breathe. 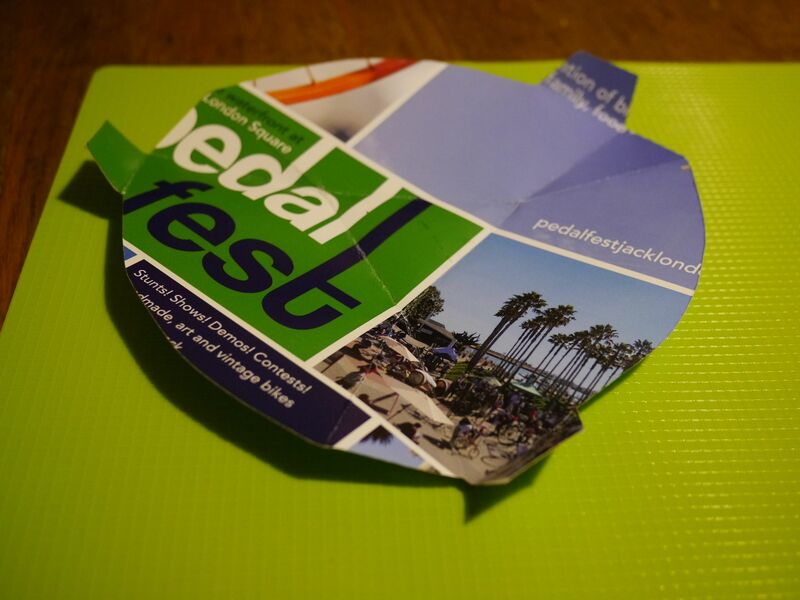 Why does my paper pattern fold up nicely, but not the final product? I stare at the paper model, turning it over and over until I realize — the pattern is chiral. Folded inside out, the tabs that should hold the bowl together pop apart. I start from the top. Trace out the pattern again. Cut it out and crease the edges in the proper direction. Tuck in the tabs. The bowl sits lightly in my palm. Poised, open, and empty, like Guanyin, Goddess of Mercy, seated on a lotus. I contemplate its perfection. Then I laugh at the mess I made. Sweep up all the plastic bits, put away my tools. I proudly place my new tambourine — plus my new bowl — on the nightstand and tuck in to dream of the next adventure. Version 1: It’s totally overbuilt. 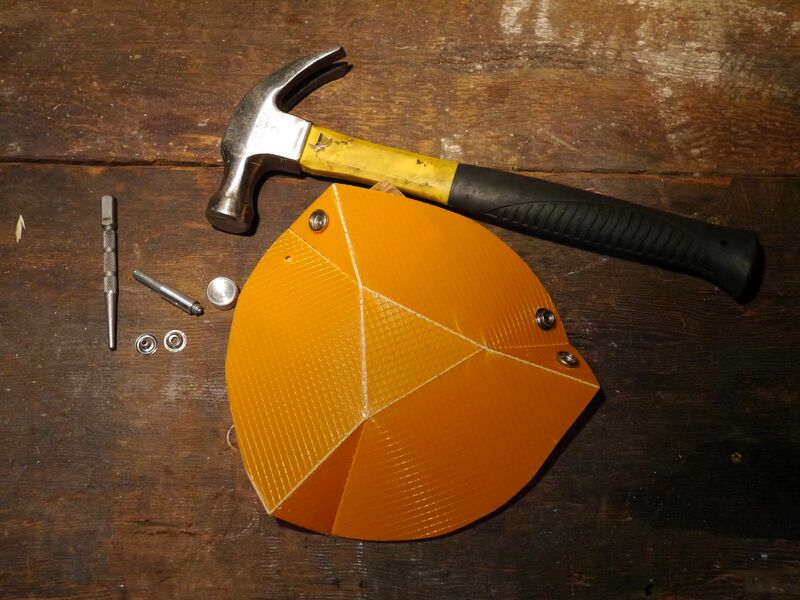 Unfolded, the snap button bowl doubles as an ultralight tambourine. Just give those brass snaps a jingle. 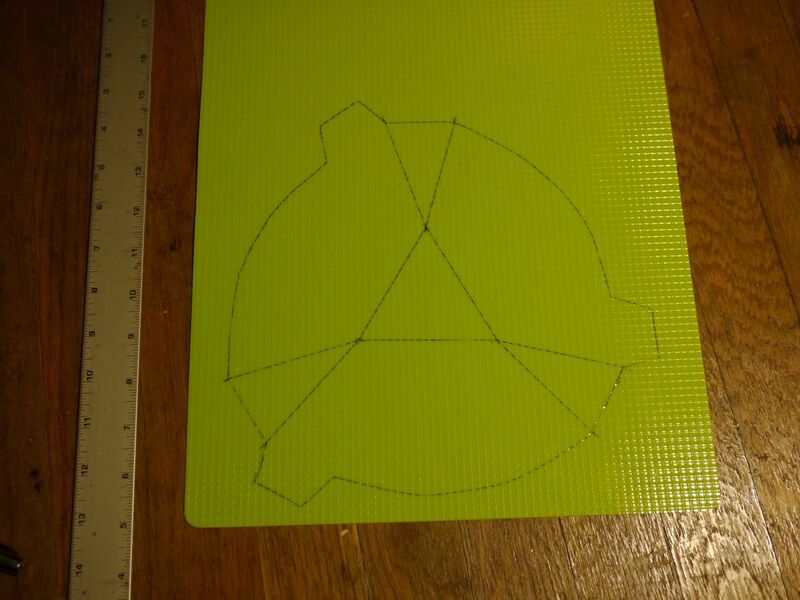 Version 2: Draw up and cut out a pattern. 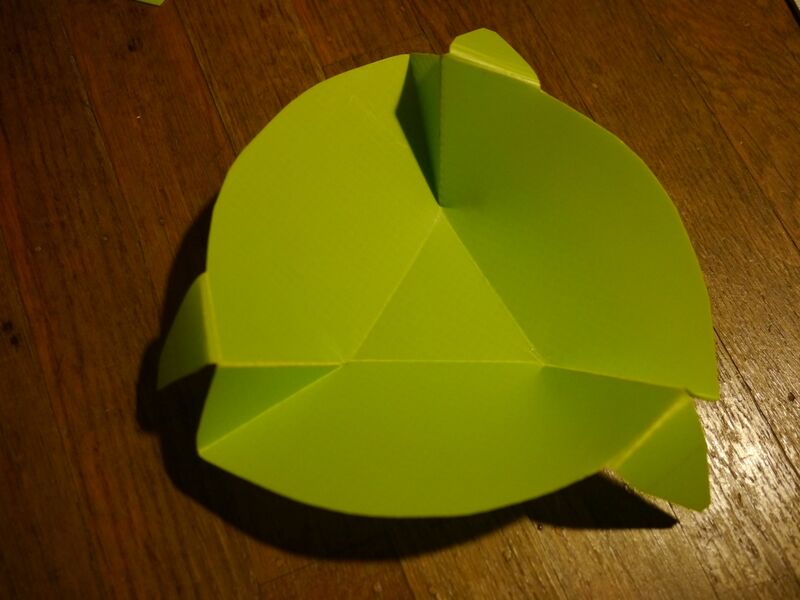 I looked up a picture of an Orikaso folding origami bowl and copied its design. Score all the creases and folds. Ta da! Three hours later, I have successfully ripped off the origami bowl. Trail tested with tuna tortellini. It works!